What are two things we could all use? Less work and more free time. When was the last time you enjoyed your yard more than you worked on it? Let alone, how many hours have you sacrificed to labour over something you’re still not satisfied with. 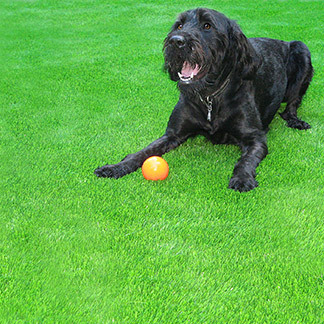 By switching to Precision Greens artificial grasses, you won’t only save yourself the time and hard work, you will gain a healthy looking lawn with none of the headaches it would normally involve. 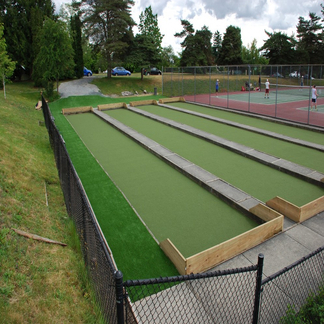 With over 17 years of expertise, over 1100 golf putting greens and 3000 artificial grass installations, we continue to deliver top of the line products and exceed our customers’ expectations. 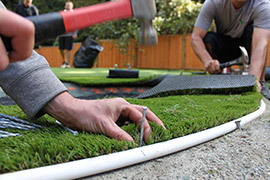 Here is how we can give you the best yard in Coquitlam. 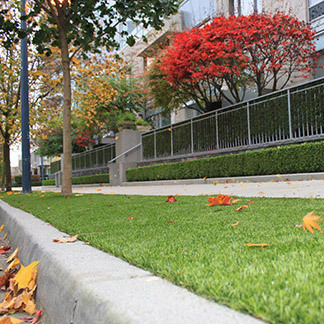 You’ll make your neighbours jealous with Precision Green’s ultra-realistic, high quality, low-maintenance artificial grasses. 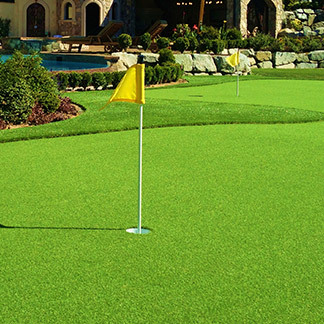 Variety: With multiple selections of unique artificial grasses, you’re sure to find the perfect design to fit any area. From casual to ultra-realistic, our stylish options will deliver the look and feel you desire. 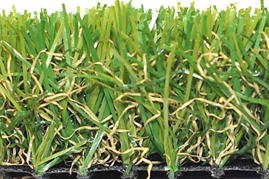 Realistic: Innovative technology like the Wave Blade and U-Shape technology, have created an unmatched resemblance to non-artificial grass. The texture, colour and shape, were all carefully designed to portray the real thing, without any of the issues of maintenance. 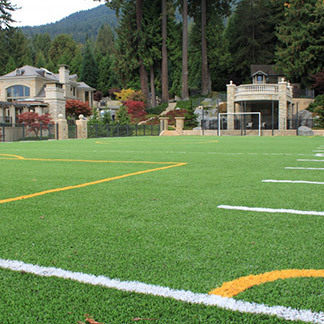 Design: Unlike non artificial grass, there will never be any intense work needed to maintain its appeal, and it will survive the worst of any Canadian weather. It will even endure relentless sun and manage to keep that luscious green aesthetic all year round. Safe: If safety is a concern, have no worries. All of our products are safe and enjoyable for the whole family, including the family pet. Not to mention, having been tested and proven environmentally safe, it is made with a non-flammable material, so even dry weather poses no threat. 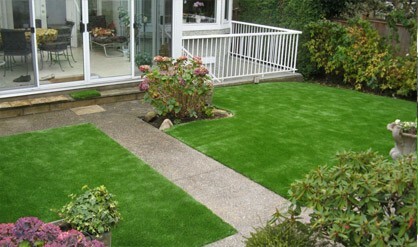 Comfort and Ease: Finally you can have a lawn that will both look good and require little to no maintenance. Not only will it look natural it will feel natural. 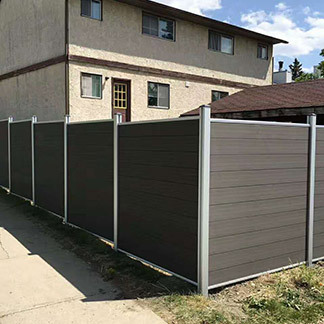 The structure allows for water to easily drain into the ground, this prevents flooding, and leaves any other debris sitting high on the fibres for allowing for easy removal. Easy maintenance: Since no exhausting work is needed in retaining that superior lawn, the only task you may ever be presented with, is cleaning. If you’re lucky, the rain will beat you to it, but if you ever need to refresh that healthy, crisp look, all you need to do is simply wash it with a hose. 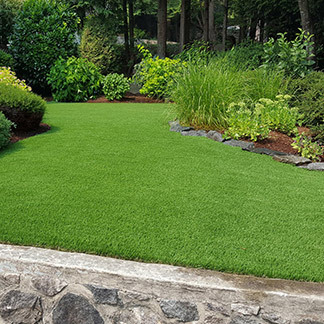 Reassurance: Precision Greens offers a 10 year product warranty along with a 3 year workmanship warranty, meaning you can spend more time with your family, enjoying your lawn worry free.